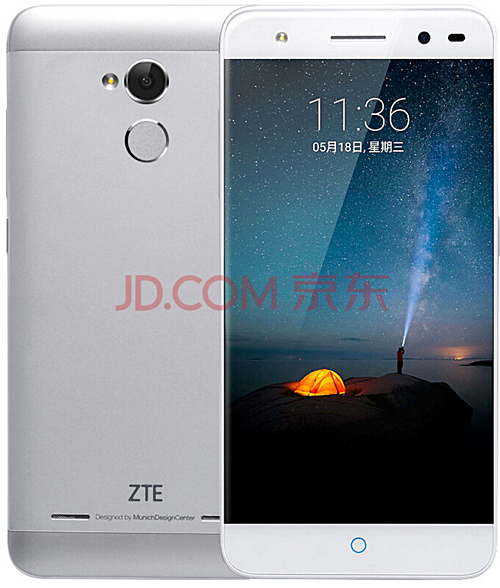 ZTE has launched a successor to last year's Blade A1 smartphone. Appropriately dubbed Blade A2, the device is powered by a MediaTek MT6750 chipset with octa-core 1.5GHz processor, and sports a 5-inch HD display. It comes with 2GB RAM and 16GB internal memory, and packs in a 2,500mAh battery. In terms of camera, the handset features a 13MP rear unit with Phase Detection Auto Focus (PDAF) and a 5MP front shooter. The phone has a fingerprint sensor on the back (claimed to unlock the device in just 0.3 seconds), offers support for 4G LTE and hybrid dual SIM, and runs Android 5.1 Lollipop-based MiFavor 3.2. Available in silver, gray, and gold color options, the Blade A2 is now listed on JD.com for RMB 699 (around $105), and will go on sale starting June 15. Good budget phone, however 2,500mAh battery is pathetic, should be minimum 4,000mAh battery..